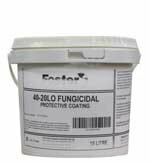 Fulaflex 625 is a high performance, one part hybrid moisture curing construction sealant, which cures to form a seal that is tough, elastic and weatherproof with good chemical resistance. Fulaflex 625 is a low modulus product for use in situations that may experience significant expansion and contraction. Fulaflex 625 is easy to apply and tool off. *Not suitable for floor applications or foot traffic areas. In seals where acoustic properties are required. 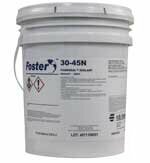 As a sealant in fibre cement facade systems (pre-testing recommended- refer to HB fuller sales representative or technical department. All surfaces must be clean , dry, sound and free of dust, oil, old sealant or other contamination. Cut tip off cartridge. Angle cut nozzle to desired size. Screw nozzle onto cartridge. Apply in a steady, continuous flow by pushing the sealant ahead for the nozzle so that it completely fills the joint and is in contact with both sides. Immediately after application tool the sealant using a spatula.The use of water/soap solution is not recommended. Avoid contact with alcoholand other solvent cleaners during curing time.